You can spend a couple hours or the better part of a day driving the 36 mile (round trip) road through Arches National Park. 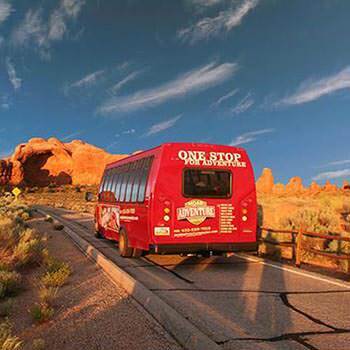 With plenty of places to stop and snap pictures and panoramic views for miles, you can enjoy the brilliant artistry and majesty of Arches without having to leave your vehicle. 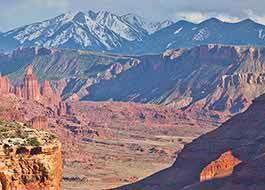 Make your first stop the La Sal Mountains Viewpoint to take in the amazing sight of the La Sal Mountains, Utah’s second highest mountain range, juxtaposed against Arches’ red rock spires. Courthouse Towers Viewpoint should be your next stop to click a quick picture of the towering skyscraper-esque sandstone walls and spires. Balanced Rock is arguably one of the most unique formations in the Park and a must see on your tour. Take a quick detour to drive the loop through the Windows District where you’ll see the sights of the Garden of Eden, Cove of Caves, Turret Arch, North Window, South Window, and Double Arch. Continue to the Delicate Arch Viewpoint, follow the road all the way until the end. Here, you will need to park your vehicle and take a short walk to get a view of the Arch that is famous across the world. Fiery Furnace Viewpoint is next on the list. Here, you can peer into a maze-like cluster of narrow fins and and spires. Skyline Arch is an easily accessible and photographable arch and the last recommend stop before reaching the end of the park and making the turn around at Devils Garden. You’ll exit the Park via the same road, so if you feel you missed something, you can catch it on the way out. How long does it take to drive through Arches National Park? 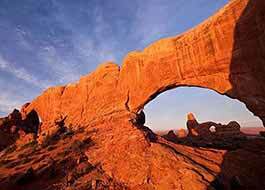 How much time you spend driving through Arches National Park depends upon how distracted you get. You’d have commendable focus to get in and out of the Park in under two hours, but it can be done. Even if you don’t plan to stray from your vehicle, we recommend you budget an extra hour to take in the magnificent scenery and snap a picture or two. You can easily drive yourself into Arches National Park, The question is, do you want to? 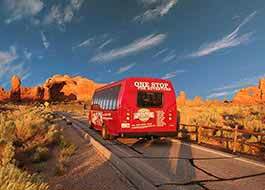 There are a few things to consider, which can help you make the decision to visit Arches on your own or join a guided tour. How much time would you like to spend in the park? 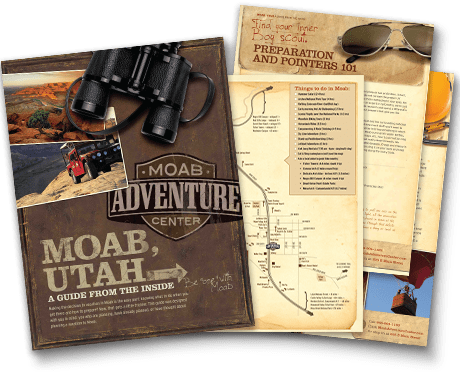 If you want to do a very thorough job of exploring the park and think you’ll need more than four hours, we recommend you self-guide through Arches. Can you be both a spectator and a driver? Some people can and others, not such a good idea. If you think the wondrous sights of cliffs, spires, arches, and vistas for miles might distract you from being a safe driver, we highly recommend you take a guided tour and let your seasoned guide worry about the navigating, driving, and parking amongst the crowds. Do you like in-depth knowledge of, not only the main points of interest, but the surrounding flora and fauna, and local history? Depending on your thirst for knowledge and your ambition to search it out, you may elect to let a professional spoon feed you information, or opt to study books, maps, and the informational park signs as you go. There’s no wrong way to visit Arches National Park, and whether you choose to do it yourself or take a guided tour, there’s no doubt you’ll have a phenomenal experience.